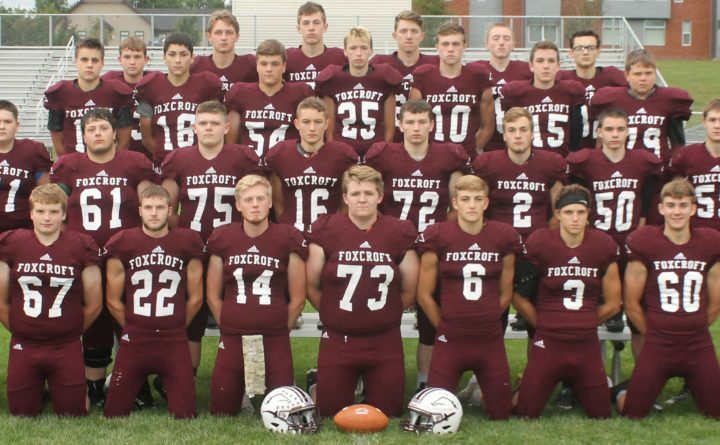 The undefeated Foxcroft Academy football team will go after its second straight Class D football regional title on Saturday night when it plays host to Bucksport at Oakes Field in Dover-Foxcroft. Game notes: Two of the newer kids on the varsity football block square off with the winner set to claim its school’s first regional championship in the sport. Nokomis of Newport has played varsity football since 2007, while Hermon made its varsity debut in 2011. Both teams defied their relative playoff inexperience in last weekend’s semifinals. Nokomis used a stout defense to upend two-time defending state champion and top seed Maine Central Institute of Pittsfield 13-0. David Wilson rushed for a first-quarter touchdown and returned a blocked field-goal attempt for a fourth-quarter score. Hermon rallied from a 13-0 deficit to oust tradition-laden and third-ranked Winslow 20-13 as quarterback Garrett Trask rushed for 216 yards, including second-half touchdown runs of 4, 3 and 35 yards. These teams met for the first time during Week 3, with Hermon spotting Nokomis a touchdown before scoring 25 unanswered points en route to a 25-7 victory. Trask rushed for 129 yards and a TD, and completed a 62-yard TD pass to Wyatt Gogan for the Hawks, while fullback Zach Tubbs added two rushing touchdowns. The Hermon defense limited Nokomis to 161 yards. Game notes: Two traditional Little Ten Conference powers meet for the second time this fall in a championship game anticipated from the start of preseason practices in mid-August. This marks a rematch of last year’s regional final, a 34-0 Foxcroft victory. Their clash this fall suggests a much closer postseason rematch, as Foxcroft squeezed out a 21-20 Week 4 victory on a windy Friday night at Carmichael Field in Bucksport behind senior Matt Spooner, the Ponies’ first-year starter at quarterback, who rushed for 141 yards on 17 carries. Classmate Michaleb Niles also contributed 101 rushing yards. Foxcroft’s defense has allowed just three touchdowns in five victories since, a run that included the Ponies’ 41-0 semifinal victory over No. 5 Washington Academy of East Machias on Nov. 2. That defense will be challenged by a Bucksport offense that amassed nearly 600 total yards in its 77-36 semifinal victory over No. 3 Mattanawcook Academy of Lincoln. Senior halfback Carter Tolmasoff rushed for 380 yards and five TDs, while backfield mate Lucas Wardwell rushed for 204 yards and five scores, and threw a touchdown pass. Game notes: Brunswick, the recent class of Class B North, will attempt to win its fourth regional championship in the past five years. The Dragons upended No. 2 Cony of Augusta 21-13 in last week’s semifinals to avenge a 30-6 loss to the Rams in their regular-season finale just two weeks earlier. Chandler Coombs’ two interceptions helped coach Dan Cooper’s club rally from a 13-7 halftime deficit in the playoff meeting. Brunswick handled Lawrence 55-28 at Fairfield in Week 6, the Bulldogs’ lone loss in their past six games. That run began in Week 5 when Lawrence rallied from a 14-0 fourth-quarter deficit to defeat Class C semifinalist Winslow 17-14 on a last-second field goal. It also included two victories over Class B North top seed Skowhegan, including a 41-8 semifinal victory last week. Playing without veteran head coach John Hersom, who is sidelined while recovering from surgery earlier in the week, the Bulldogs ground out 368 rushing yards behind Mike Carpenter (181 yards, 3 TDs) and Isaiah Schooler (94 yds., 2 TDs). Game notes: The state’s two Class A conferences square off for the right to represent the North in the state final, with Portland from the Southwestern Maine Activities Association against Oxford Hills of South Paris and the Kennebec Valley Athletic Conference. Portland seeks its third regional title in the past four years, while Oxford Hills last won a Class A North/East championship in 1999. Both teams were dominant in their semifinal victories. Portland defeated No. 4 Edward Little of Auburn 49-15 as Zach Elowitch rushed for 267 yards and three second-quarter touchdowns. Oxford Hills dismissed No. 3 Cheverus of Portland 33-6 as Class A North player of the year Colton Carson rushed for two scores and connected with Alex Turner for an 84-yard touchdown pass. Portland edged Oxford Hills 17-14 in their Week 7 regular-season meeting. Elowitch rushed for 169 yards and quarterback Sam Knop added two rushing touchdowns for the Bulldogs in that game, while Portland’s defense limited Oxford Hills to 139 total yards.